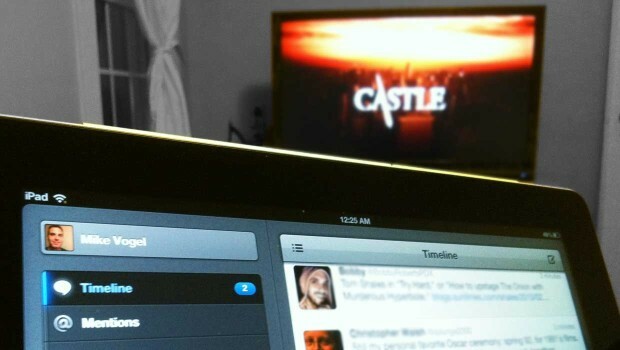 Social TV is already one of the biggest trends of 2013, but if you’re an independent transmedia producer it might be hard to see how this trend benefits your project. TV shows have the advantage of being broadcasted to millions where throwing a hashtag on screen is a guaranteed way to get online conversations going. But just because you aren’t broadcasting to millions doesn’t mean you should ignore social TV. Here’s a quick look at what makes social TV successful and how you might adapt those ideas for a smaller transmedia project. Social TV uses hashtags to let the audience share their reactions in real time. Even if your audience isn’t watching at the same time you should still give them an opportunity to share their experience. Twitter has some great guidelines for TV producers for engaging and growing an audience that apply even if you don’t have a primetime TV show. Not only will a hashtag allow you to see what people are saying about your transmedia story, but it will give them a chance to connect with each other fans–which is the key to a thriving online community. TV shows that display hashtags see up to 10 times more engagement, so based on that data, it seems obvious to display the hashtag for your transmedia project across all platforms, even if there isn’t a way to share directly to Twitter from that platform. For instance, a printed comic or a physical event that includes a hashtag might inspire someone to post a photo to Instagram and Twitter with the suggested hashtag. Hashtags encourage sharing. Pick one and use it consistently. Apps like GetGlue let people check-in to shows they’re watching and earn digital stickers. Unlocking badges for various levels of achievement could be a great way to reward your audience as they progress through your transmedia story and give them additional incentive to continue. Most people are familiar with Foursquare and Facebook check-ins, but those aren’t created for media consumption. Badgeville is one service that allows visitors to your website to earn virtual badges. For transmedia projects, Conducttr lets you award badges as people complete sections of your story. For instance, they could earn a badge for every video they watch and if they earn five badges, it unlocks an exclusive video or game. Audiences are no longer content to sit back and watch. Some fans take things into their own hands, like Carri Bugbee who tweets as her favorite Mad Men character @PeggyOlson. Other shows experiment with letting their audience influence the story, like an episode of Hawaii Five-0 that let the audience choose whodunit, or Psych’s H#shtag Killer, which encourages fans to submit their own videos using the Theatrics platform. It’s never too early to start involving your audience, if you recall the @ThisIsTM interview with Houston Howard who is asking for user-submitted media to encourage potential fans to be part of developing his City of Refuge. Every transmedia producer knows audience expectations are changing. Even if you aren’t broadcasting to millions, understanding social TV can help you connect with (and grow) an audience for your transmedia story. Social TV is absolutely one of the biggest things happen in technology this year. the power of #hashtags can be the basis on how people gave an impact to the social TV program. And it’s true that this is one of the best ways on how people can connect to the larger scale of audience.